Digest What Can We Expect From The Michelin Guide Singapore 2017? 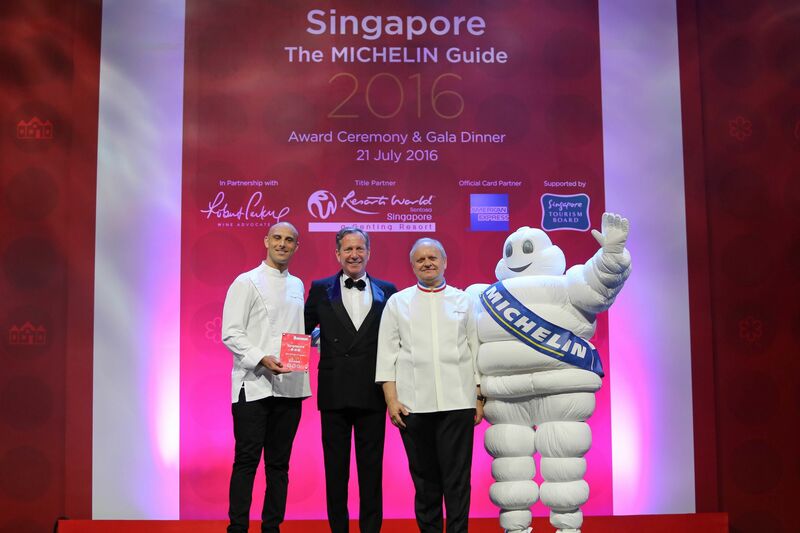 What Can We Expect From The Michelin Guide Singapore 2017? Michael Ellis, International Director of the Michelin Guides, gets candid about putting together Singapore's second edition. Like any list of the best places to dine at, the inaugural Michelin Guide Singapore offered a contentious look some of the island’s most-loved eats. The fact that it awarded a Michelin star to two hawker stalls (Crawford Lane’s Hill Street Tai Hwa Pork Noodle and Chinatown’s Hong Kong Soya Sauce Chicken Rice and Noodle) didn’t make it less so. It did, nonetheless, create the international buzz the publishers were hoping for. “The Singapore guide has been one of the most exciting guides that the inspectors and I have worked on, for the simple reason that Singapore’s dining scene is absolutely fascinating,” said Michael Ellis, International Director of the Michelin Guides, when Singapore Tatler caught up with him on Tuesday. Ellis added that the guide shone an international spotlight on Singapore’s uniquely diverse dining scene and this has helped put the country “in its rightful place as a major culinary destination". All establishments, Ellis confirmed, are visited and judged independently. “There is no taking into consideration whether there is a sister (outlet) or a chain. Each restaurant is visited by the inspectors, who are all full-time Michelin employees. They are anonymous and always pay their bills … and we think this has been the cornerstone of our success over the last 115 years,” he added. So if you're wondering if the inclusion of Liao Fan Hawker Chan (78 Smith Street) in the Bib Gourmand awards of the 2017 Michelin guide Singapore might mean Chef Chan’s main stall would lose its star, be rest assured that it doesn’t work that way. Having said that, there has yet to be a local inspector on the payroll. While Ellis did share last year how the standard operating procedure after the first edition is to include a pool of local inspectors, he confirmed that no Singaporean inspectors were involved in the judging for the second edition of the Michelin Guide Singapore. "Generally speaking, around the world, every edition that we put out tends to get better. The more time our inspectors have to build the base, they more they can add to it. The second addition is arguably the hardest one to do because the first addition makes the big splash, and it is a tough act to follow. But, we are able to refine what we are doing, and get a better vision moving forward." "Without a doubt, the biggest challenge for our inspectors regarding Singapore is the huge quantity and quality of dining establishments throughout the island. We don’t pretend to be totally exhaustive. We don’t pretend to try out every single restaurant… it’s always a work in progress. We think the first year’s guide gave a pretty good snapshot of the better places to eat in Singapore, but it is by no means definitive. That’s what makes it so exciting to come back every year." "Of course, in today's digital world, you can follow almost anything from anywhere, but it's definitely easier to have a local inspector on the ground and be aware of local trends than to fly someone in from overseas. It's not a matter of taste. A well-developed palate is something that’s universal."